Atlanta has been a traveling turnstile for me for years. I’ve joked with friends that I have been over, under, around, and through more times than I can count, while never actually staying to visit. But a recent business trip led me to reconsider. Arriving a couple of days earlier than necessary, I threw down the challenge for Atlanta, Georgia to give me her best. She stepped up to the plate, and here are some of my choices. 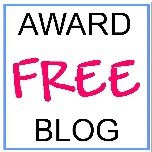 First, besides Margaret Mitchell–refer to reneejohnsonwrites for further information on her–the person I always think of when Atlanta is mentioned is none other than Ted Turner. 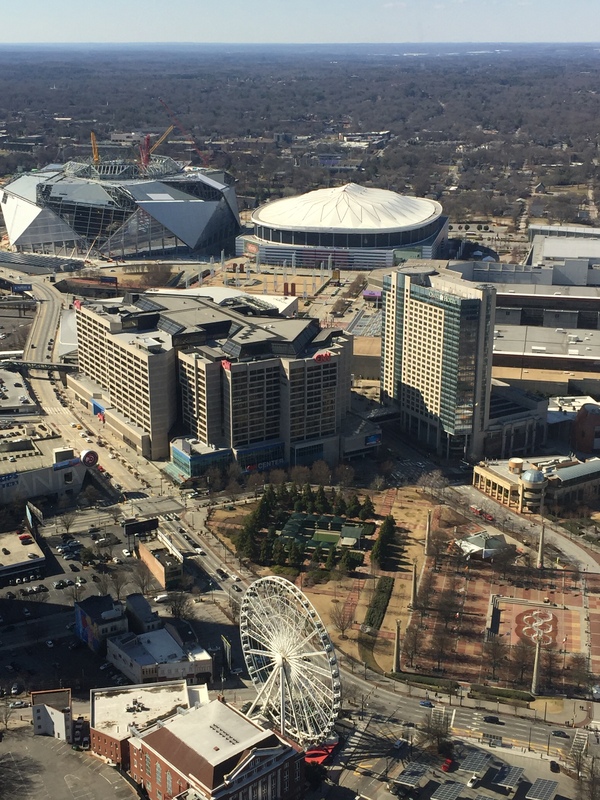 CNN, TBS, TCM, Atlanta Braves Baseball, and Ted’s Montana Grill–all based in Atlanta! 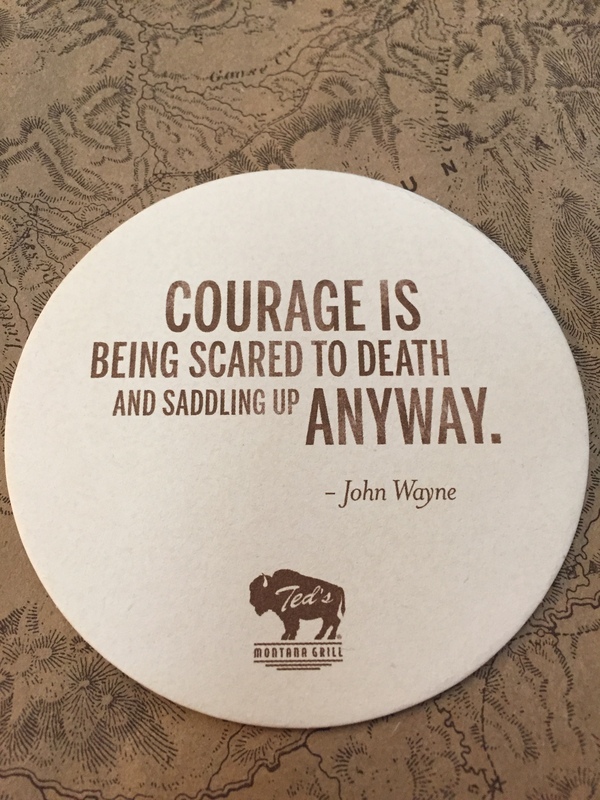 So, naturally, I gravitated to Ted’s Montana Grill for a bit of bison, beverage, and Western atmosphere served with southern hospitality. Never had bison? No worries. The wait staff is well educated on the particulars with this ranch raised (on Ted Turner’s personal ranch, of course!) option. They’ll also recommend a nice beverage. 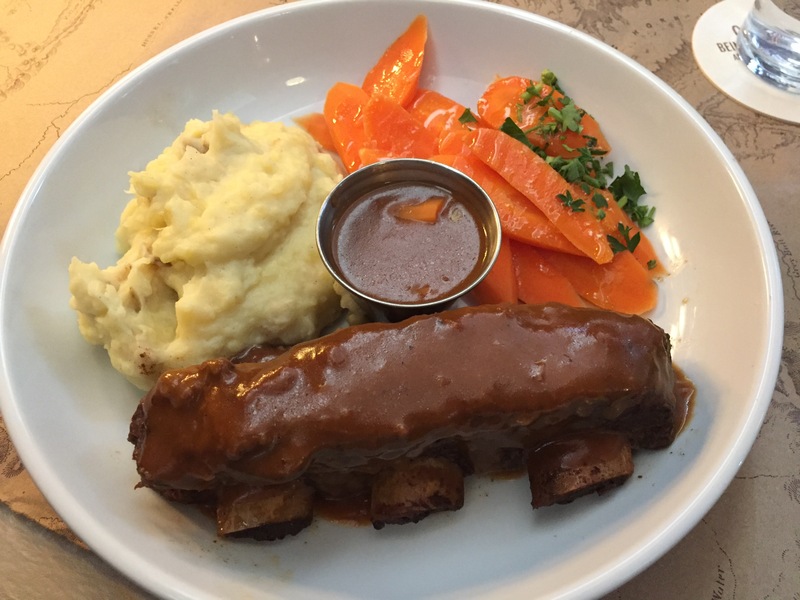 After looking over the options, and having previously tasted buffalo burgers and steaks while traveling through the American West, I decided to try something I’d never had before: Braised Bison Short Ribs. The barbecue sauce is rich, reminding me more of a steak sauce. It is served with garlic mashed potatoes and carrots. I was concerned it might be a little tough, but needn’t have worried. It was tender and filling. Naturally I wanted a beverage to complement the meal. 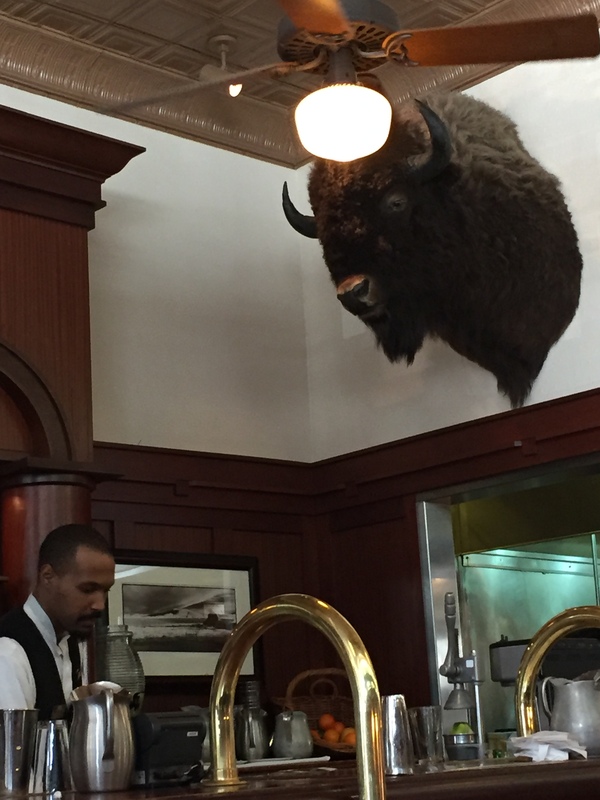 Again, my waiter was wonderful, suggesting the Buffalo 41, though it seemed as if it might be too sweet for me. I had to hand it to him, he was right! (The pickles are good, too!) Great dining experience, and even received a calendar on the way out. Buffalo 41: Bourbon, Grand Marnier, and lemonade with wild berries–mostly blackberries. 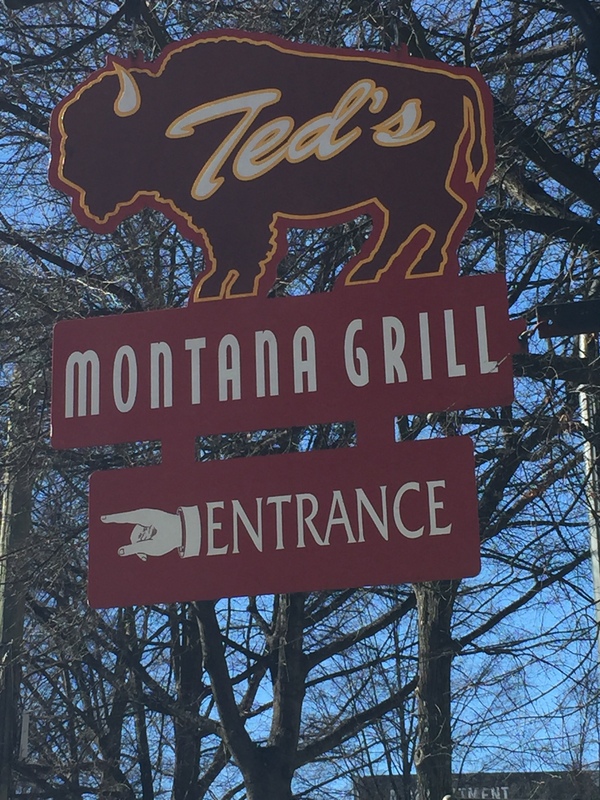 It’s a homerun for Ted Turner and Ted’s Montana Grill! You’ll walk a lot in Atlanta, as the city is spread out, rising from ashes to follow the train’s path. 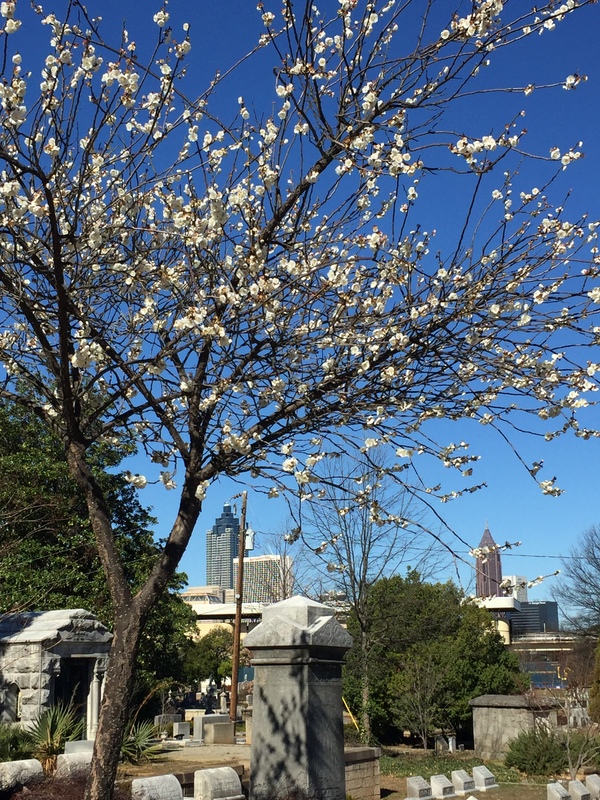 As you’re walking you will run into inviting places to walk, such as Oakland Cemetery. Margaret Mitchell is buried here. So is Bobby Jones. There’s a visitor’s center in a lovely Spanish-style house which is close to where General Hood watched Atlanta burn during the Civil War. 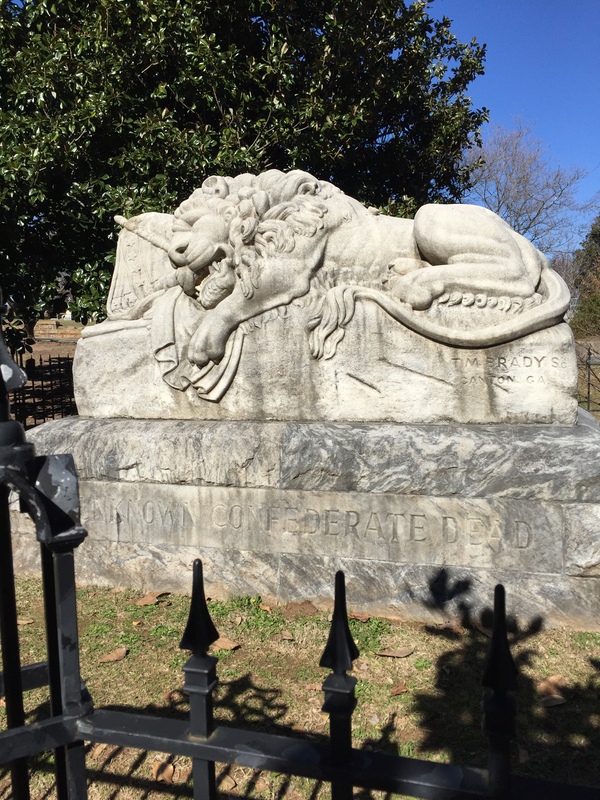 More on Historic Oakland Cemetery at reneejohnsonwrites.com. After walking several miles, working up an appetite, I asked the ladies in the visitor’s center where I should have lunch. They named a couple of different places, but I don’t think I heard anything after: Six Feet Under. I mean, come on, it’s right across from the cemetery. After all that braised bison the day before, I decided a vegetarian meal was in the cards. 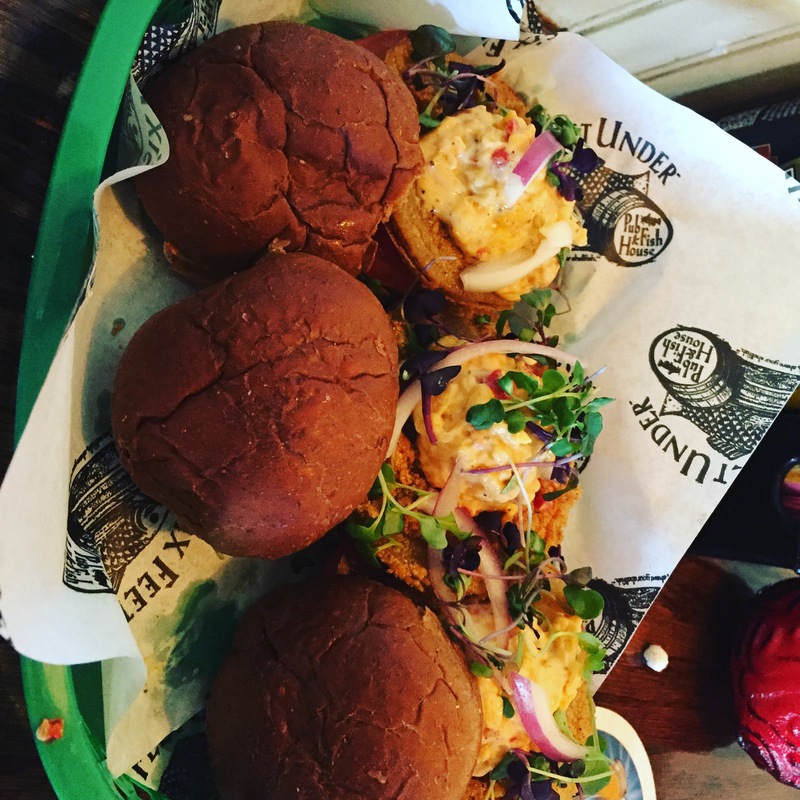 Where else but in the south would the chef create Fried Green Tomato Sliders? Fried green tomatoes on honey wheat with pimento cheese, red tomato, red onion and microgreens. This is about as southern as it gets. Crispy, creamy, cheesy, tangy, with a slight bite. I also wanted to try something authentically southern–you know–old school. 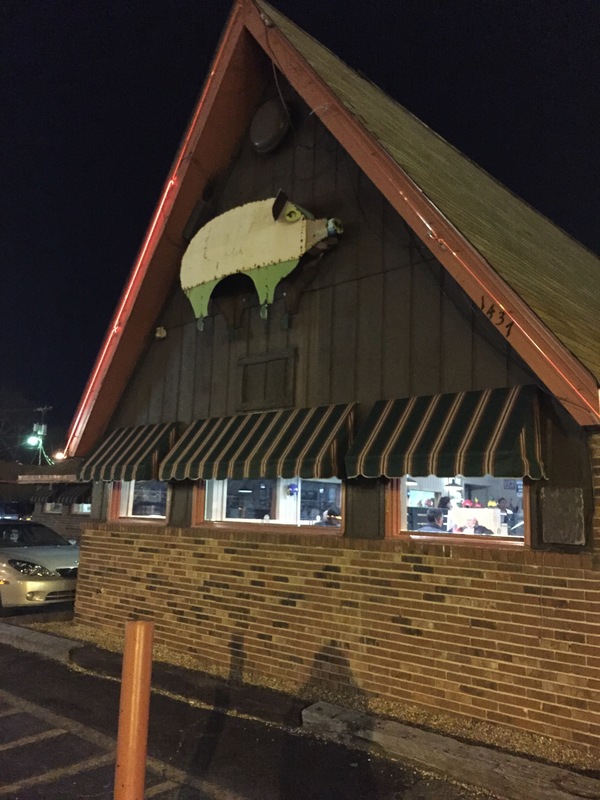 A modest family restaurant, The BBQ Kitchen at 1437 Virginia Avenue, was nearby. 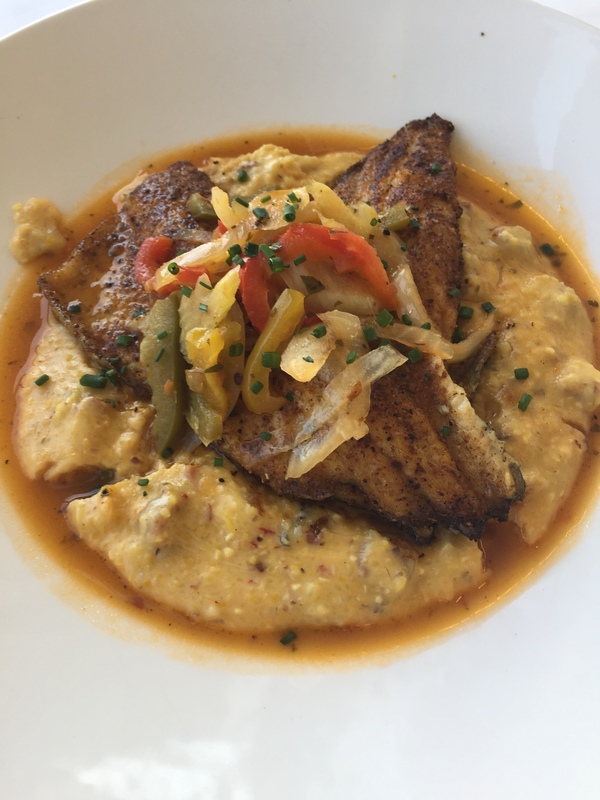 This is for those times when you want food like your mama made, or if you’re not from the south, like you wish your mama made. Be warned though. Serving sizes are huge! 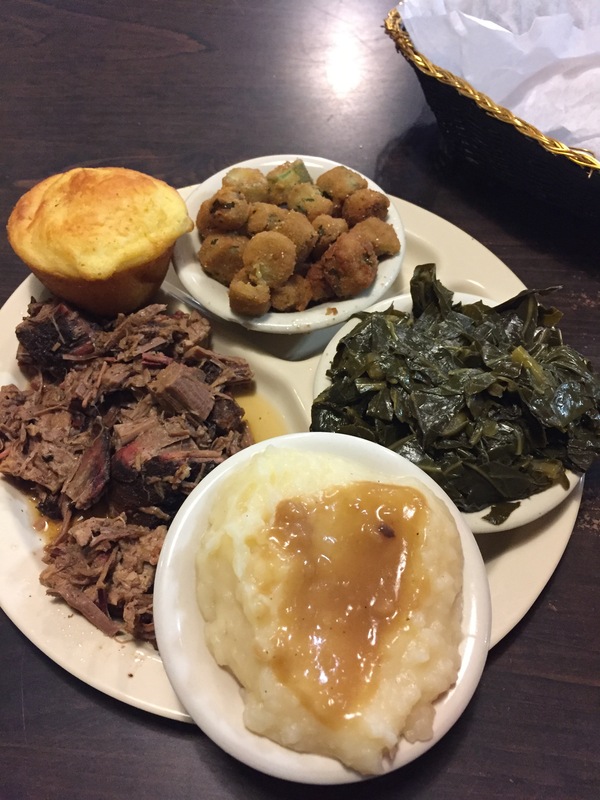 I ordered the smoked brisket, collards, fried okra, potatoes and gravy and cornbread muffins. I’m not ashamed to say I ate most of it. It was delicious. And I passed up the peach cobbler. Come on, give me kudos for skipping dessert anyway. 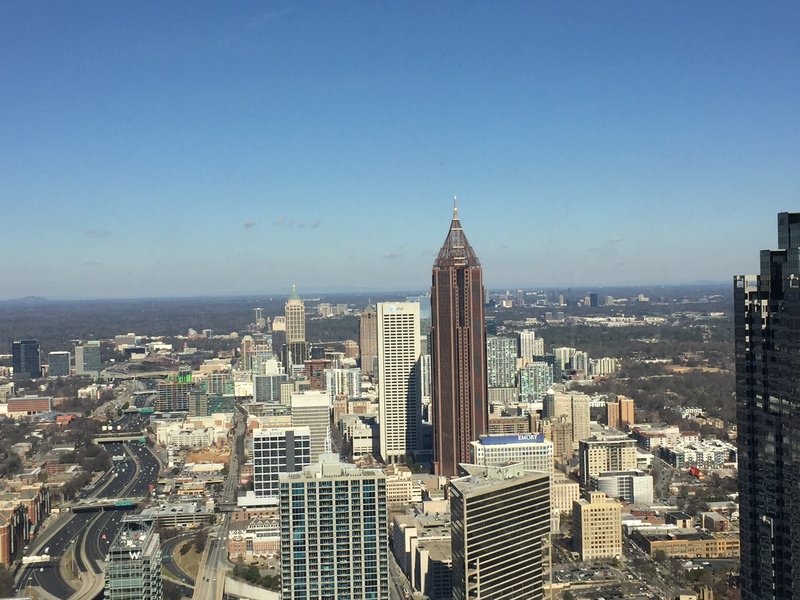 Spinning to revolve for a 360 degree view of Atlanta, it rises 72 stories above the street. Once again, I skipped dessert, hopping the MARTA–Atlanta’s Metro–to arrive in Buckhead for a little shopping. Lenox Mall is a rather high end shopping opportunity. If you’ve seen the brand in a glossy magazine ad, you’re likely to find an entire store dedicated to it right here. 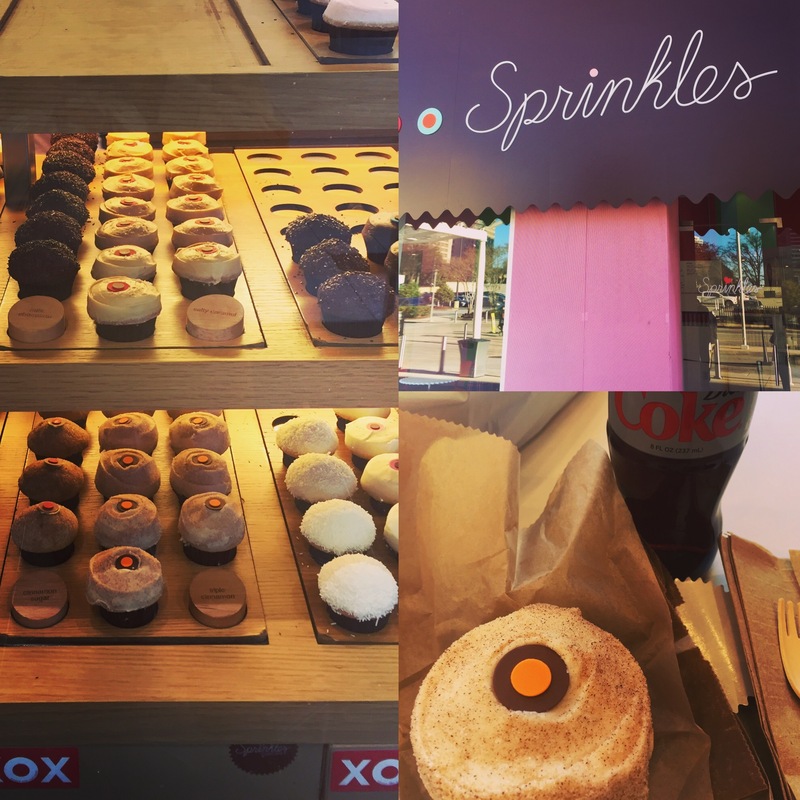 Oh, and stop in at Sprinkles for a cupcake while you’re charging your phone in one of the conveniently located charging stations with comfortable seating. Thanks Atlanta. It was a delicious journey! Coming March 24, 2017: Behind the Mask. Previous Previous post: Tribute to Dr. Martin Luther King Jr.
Next Next post: Behind The Mask Launches Today! Wow! Sounds like quite an experience. 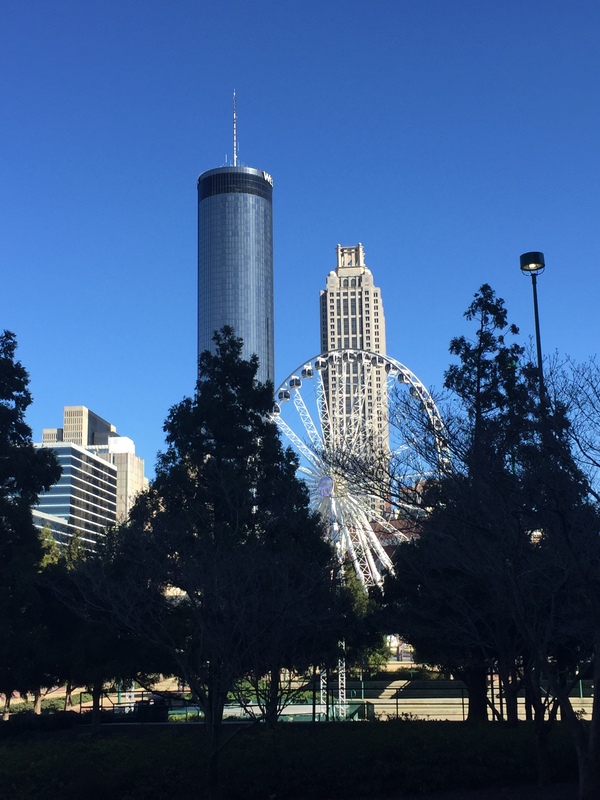 We’ve been “through and around” Atlanta, too, but never actually spent time there. That’s how it is sometimes. But if you get a chance to stay for a few days, it is a great city! Nice to hear from you Dianna! I’m scheduled to do that “through Atlanta” thing in the fall. The Atlanta airport has survived a couple of flight changes for a rock-bottom price to Paris from Oakland, CA. My sister says I’ll hate my travel experience, but what the heck — an adventure. Atlanta’s airport is huge, but I didn’t hate my experience there at all. It is rather convenient, actually. Will you have a layover, is it all airport waiting time? Thanks for the great tour, Renee. It looks like you had a fabulous time and some good food. Sure did, Jill! Makes me hungry just looking at the pics! 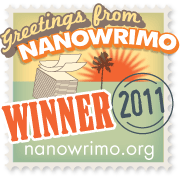 I’ve been to Atlanta once for a publishing training seminar. I didn’t get to see much other than the publishing house. I wish I had this list of go to places when I was there. It does make me want to go back with it in hand. I tried to hit a variety of places, as you can tell. But in the south, it’s hard to get bad food. We know how to cook!! Wow you certainly brought Atlanta alive with your description and so many good tastes too. Sounds as if you had a marvelous time. It’s fun to share in your research adventures. 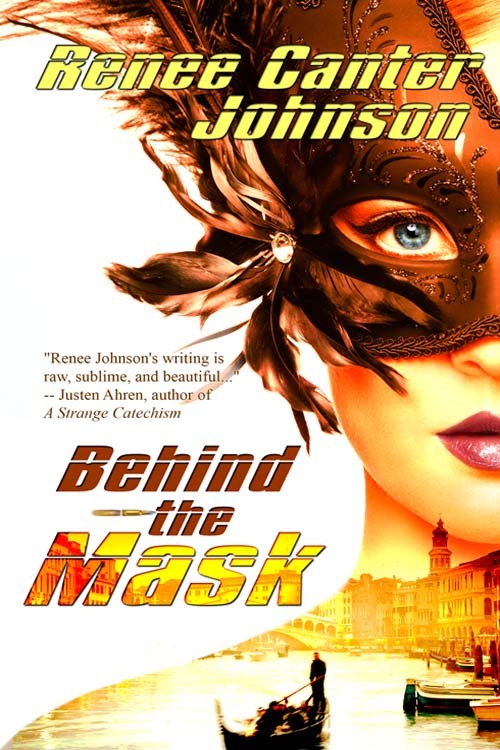 I pre-ordered “Behind the Mask”, I can hardly wait til it’s arrives on my KindleFire Friday. Oh, thank you so much. I sure hope your enjoy it. If you like the piece on Atlanta’s dining, I’m thinking you will enjoy a few scenes in Behind The Mask. I think bringing the tastes of a region into whatever I’m writing is essential. I’m the same way … between driving around and through plus transferring at the airport, I’ve never experienced the city. 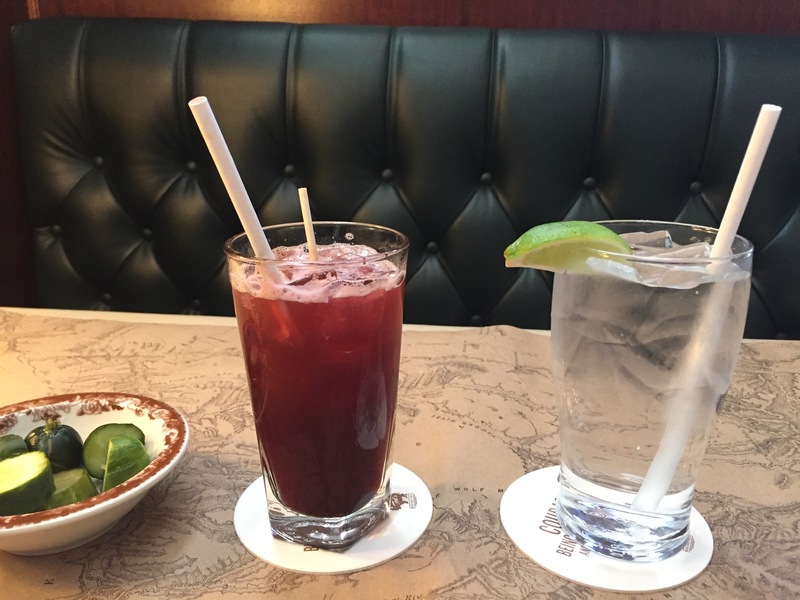 Two things for sure … you eat well and I would follow your suggestions! Thanks Frank. I’m a southern gal so I know how to eat! Given your taste, your recommendations resonate with me. Thanks Frank. I think this post has made us all hungry. I’ll join you for some BBQ.